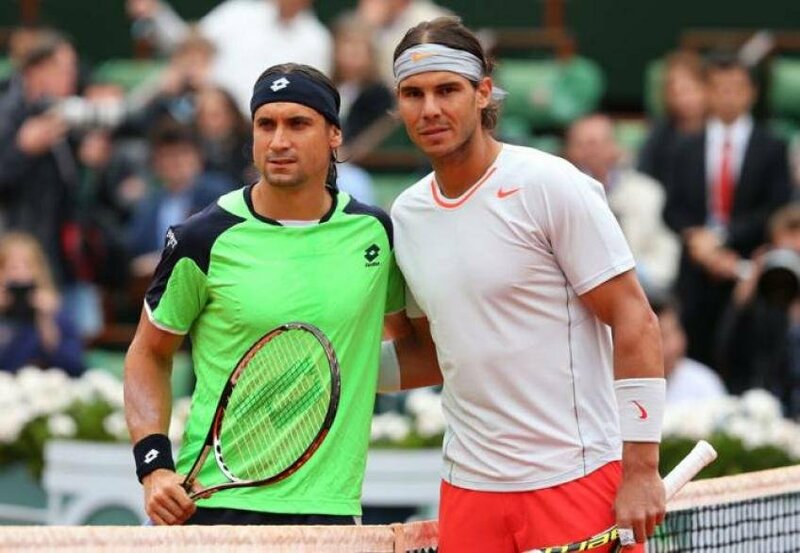 The Spanish veteran tennis player, David Ferrer will be winding up his blooming career this May in the city of Madrid. He is one of the most significant players for Spanish tennis and has served them for almost two decades. The closest vicinity to a Grand Slam for Ferrer was at the Roland Garros 2013 finals. In ATP tennis, the Spaniard holds the record of highest number of matches won on the clay surface, besides his compatriot, Rafael Nadal. Also, Ferrer dwelled inside the top 50 of tennis for 13 years of his career. The Valencia resident ’s achievements couldn’t really make to the limelight of tennis due to the dominance of the ‘Big Four’ in the game. Although Ferrer couldn’t add any majors to his list of awards, he is glad to be a part of the ATP fraternity in the presence of the best players of the Open Era and considers his prolonged service in tennis to be fulfilled. 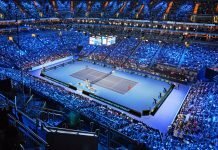 The 36-year-old Spanish ace believes his career high ranking of World Number three ensued from the escalating prowess in tennis by the ‘Big Four’. 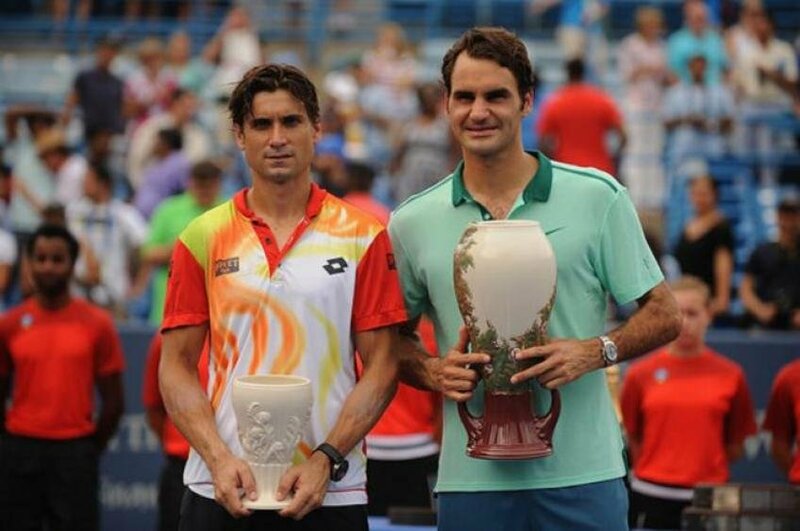 Federer and Ferrer in Cincinnati, Ohio. He holds a win-loss record of 17-72 against the them. The Swiss, Roger Federer enfolds a 100 percent winning percentage against the Spaniard. Ferrer believes Federer’s devotion towards tennis, his movement on the court and his natural prowess manifests Federer was born to play tennis. “He has something different from the others”, Ferrer addressed Federer. “Anticipates the play, has a better eye than the opponent. And he physically moves perfectly, has worked hard, but has a natural talent and was born to play tennis”. In his training routines, he tries to emulate the techniques which were practised by the ‘Big Four’ on the professional courts. The growing competition from the European men always pushed him to play a higher level of tennis than what he used to play. “If it had not been the Big Four I would not have been number 3 in the world, because I would not have improved”, Ferrer said. “I saw Roger and Rafa, then Novak and Murray came, and I always tried that the things that they did well, I could fit them, in my style, of course. And that helped me. Especially with Rafa and Toni Nadal, talking a lot with them”. 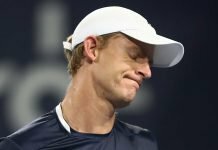 As the presiding sovereigns of tennis are in their thirties and Andy Murray has already voiced out to put an end to his professional tennis. Ferrer believes that, in a few years of time from now the ATP tennis will be lacking its prestige. “It will be different because they have given glory to the sport, they have improved it in many aspects and they have given a very good example to society”, he mentioned.